Heard about Anthropology? Well, It’s the study of societies around the world and the nature of their behavior and cultures. That means basically an anthropologist is supposed to study the progress made by mankind and behavior of different cultures and pass his judgment about it! 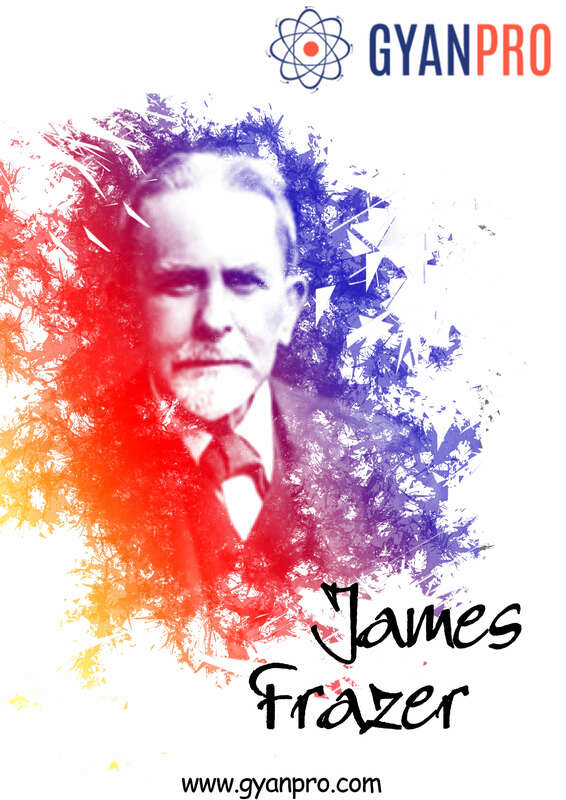 Sir James George Frazer was one of the pioneers of anthropological studies. He was born on 1-January 1854 in Glasgow, Scotland. Since his childhood, he was terribly interested in religious customs and society’s traditions. As he grew up, he began to research about ancient customs and how they came about at Cambrige University and was greatly acclaimed for his study on Plato’s teachings. However, his father wasn’t impressed and told him to get a ‘proper’ job. So, Frazer got a degree in law in 4 years but then returned to Cambridge to continue his research after that, never practicing law. His greatest contribution to Science, his Magnus Opus, remains his famous book The Golden Bough which was a study and comparison of various rituals and traditions throughout the world. He collected information by sending letters to various missionaries, civil servants and doctors working abroad and also by studying ancient texts notably the writings of Paesanias; an ancient Greek travel writer. He then proceeded to compare the various customs and showed various similarities amongst them. For example, he showed the theme of life death and rebirth was common to most ancient religions. He was the first one to really study religion and its growth in a secular fashion. The 19th century was an era where the Europeans considered their Christian customs to be superior to all other cultures and mercilessly tried to wipe them out. However, Frazer scrutinized his own culture and compared them with ancient pagan cultures leading to uproar amongst the public. He hypothesized that magic, religion and science were all ‘theories of thought’ of man, each one followed by man as he achieved better understanding. He predicted that Science itself would eventually be superseded by some new hypothesis, some totally different way of looking at phenomena of which we have no idea. Thus the advancement of mankind’s knowledge and what we ‘know’ is like an infinite progression towards a goal that keeps moving farther away. What we consider as a ‘known fact’ today be may be obsolete tomorrow no matter how logically certain it looks now. Frazer also had the foresight to know that most of his work would be considered obsolete by future anthropologists with better sample data. Many of his thesis’ were in fact proved wrong by others but there is no doubt that Frazer’s methods of studies are followed even now by anthropologists world over. In 1930, he had a terrible accident due to which blood filled his eyes and he was almost completely blinded. However he didn’t give up and continued his work and research with the help of his wife and assistants. He died on May 7, 1971 a few hours before the death of his wife who played a pivotal part in the promotion of his works. Together in life and death.